The AAUI President says that your attitude makes a big difference when you’re behind the wheel. So you may need to look inward, as well as outward, when in the driver’s seat. Does getting behind the wheel sometimes bring out the worst in you? If yes, then remember that the most important thing about you as a driver is your attitude. Being edgy, impatient, rude or reckless could put you and other road users at risk. A safe driving attitude and behaviour is important on the road because you’ll make many decisions as you drive – and your decisions have consequences. Attitudinal shifts are critical to reduce vehicle incidents. Driving is a complex task consisting of a variety of skills and a vast knowledge of road and traffic rules. Competent drivers always try to keep a positive attitude. Overcautious: You may be leaving behind a string of wrecks, even though you yourself may not be in a crash. You tend to feel out of control and constantly check to see what’s happening. Your erratic behaviour may confuse other drivers, who expect motorists to behave consistently. Such drivers block the passing lane at the speed limit and don’t feel the need to pull over. They frequently pay attention to rules, like the actual speed limit though other motorists may think they’re going too slow. Experts advise such drivers to move to the slow lane, so that others wishing to take more chances don’t get annoyed if they can’t get by safely. This overcautious, unsafe driving behaviour may be age-related. It’s seen that mature drivers tend to recognise their sensory and psychomotor skills. They feel that they can compensate for the effect of aging by, say, slowing down when it’s simply not safe to do so in traffic. Cooperative: You’re in the habit of adjusting to traffic needs and conditions. You make allowances for other drivers’ behaviours while the obeying rules. You care to allow a ‘safety margin’ that can mitigate the effects of unforeseen actions by others on the road. To you, being safe is more important than being right. Demanding: You take a few too many chances. You can be so preoccupied with something irritating or aggravating in your life that you fail to pay attention to your driving. Suppressed feelings about what you would have done with your life can come out when you’re driving. There is also the competitive aspect. People like to do better than others, so they don’t like people to get ahead of them. Slow down, breathe deeply and relax. 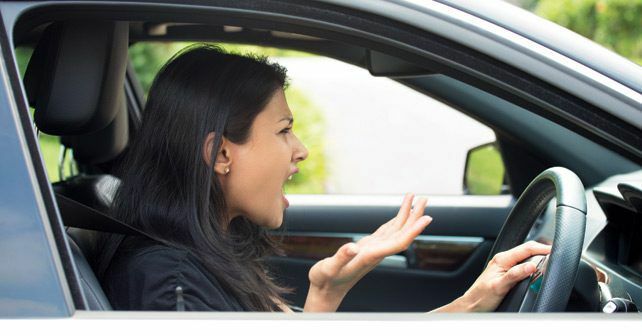 Dangerous: You feel you’re always entitled to get your way, and other drivers are there just to irritate you. Taking chances or getting angry at other drivers does not change them or teach them a lesson. But, it can kill you! This attitude too may be somewhat age related. Younger drivers tend to externalise. For example, they may drive too fast, may weave across lanes, or may drive under the influence. They feel that they can dominate their environment and their environment will accommodate them. Then again there is gender bias on the roads. There is a male tendency to get ahead of women drivers to prove that they are really the leaders and smarter drivers. Self-assessment (like this one) is only as valid as a driver’s self-perception. Sometimes drivers don’t always do what they say. For example, drivers may give socially acceptable and desirable responses for what might otherwise be regarded as personal deficiencies. Your ability to understand yourself and interact with people is important. This is how I would like to conclude – if you have trouble interacting with people in a non-driving situation, you’re probably going to have trouble in a driving situation as well. At the end of the day, though, you need to be cooperative because you share road space with a diverse bunch of users – and they may not be as self-actualised (or as competent) as you. T.K. Malhotra is the President of the Automobile Association of Upper India (AAUI).